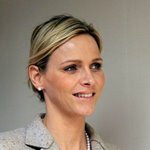 Charlene Wittstock is the wife of Albert II, Prince of Monaco, and a former South African Olympic swimmer. Charlene is the daughter of Michael and Lynette Wittstock. She was born in Rhodesia (now Zimbabwe) to a family of German and English descent by way of South Africa and Rhodesia. Her family relocated to Transvaal, South Africa, in 1989, after living in Zimbabwe for several years. She represented South Africa at the 2000 Sydney Olympics, with her team finishing fifth in the Women's 4x100 m Medley. She retired from competitive swimming in 2007. Charlene was a member of the South African women's 4×100 m medley team at the 2000 Summer Olympics, which finished fifth. She finished sixth at the 2002 FINA Short Course World Championships for the 200 m breaststroke. She left her Durban-based team (the Seagulls) to join the Tuks Swimming Club at the High Performance Centre of the University of Pretoria. She never enrolled in classes. The Club sponsored her by providing her with free access to their pools, free coaching, accommodations, and gymnasium access. She decided to leave Pretoria in January 2005, and returned to Durban; she then went to the north coast of KwaZulu-Natal, where she joined a former University of Pretoria swimming coach, Brannislav Ivkovic. On 13 April 2007, Charlene regained her title as South Africa’s 50 m women’s backstroke champion when she completed the 50 m backstroke final at the Telkom SA National Aquatic Championships in 30:16 seconds, to finish third behind Australia’s Sophie Edington and Brazil’s Fabiola Molina. On 27 May 2011, the Special Olympics announced that Charlene had become global ambassador for the movement, charged with promoting respect and inclusion for people with intellectual disabilities to a worldwide audience. Charlene has said that the Special Olympics movement is close to her heart because, as a former athlete, she values its role in "using the power of sport to change lives".